Nigeria’s current gradual economic recovery process can be accelerated, if the country refocuses its attention on viable sectors such as Real Estate and Construction, which have the potential to create jobs, increase spending and return investors’ confidence in the economy; Damola Akindolire, Executive Director, Real Estate Development, Alpha Mead Facilities has revealed. Akindolire is confident that as the second highest employer of labour, the construction industry holds the potential to lift the country out of its current economic status, if the government provides the enabling environment for private operators in this space to thrive. Nigeria’s seven-month old recessed economy is beginning to show signs of a possible recovery, especially the recently released Economic Recovery Plan (ERP) the Federal Government and the on-going CBN strategy to close the gap between within the foreign exchange market. 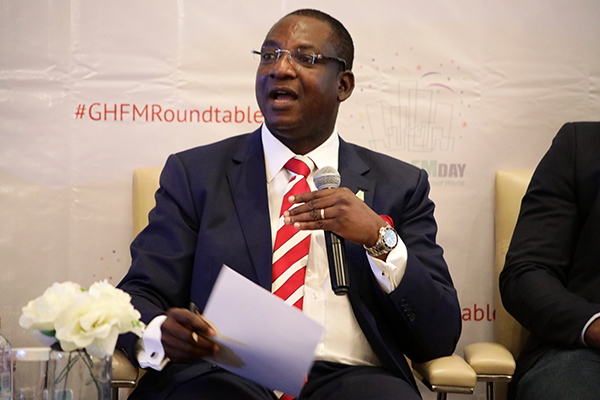 Speaking recently in Lagos, Akindolire said one of the ways for government to harness the potentials of Real Estate to boost its ERP is the effective utilization of the Sovereign Wealth Fund (SWF) for critical infrastructure development such as housing. According to him, the fund, which is in excess of N500 million could play a key role in bridging the country’s current housing deficit and upscale existing critical infrastructure stock such as road, power and rail. “We should give this serious attention because buying bonds and other financial instruments are good for the long term, but may not be able to provide the short term wins, which we desperately need to get our economy out of the situation”. Explaining further, Akindolire, whose company is currently leading the use of modular technology to respond to Nigeria’s housing deficit also noted that amongst other ways, the prompt release of the required guidelines for Pension fund investment in Real Estate assets, which will dovetail to the mortgage sector industry estimated at $35bn, is also essential for increasing activities in the Real Estate sector. Explaining that this will attract capital investment, drive growth for mortgage-backed securities and deepen the capital markets. 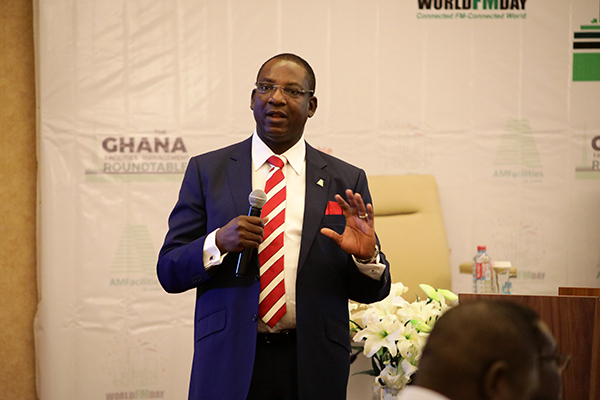 Speaking further, Akindolire also noted that in the face of the current cash crunch, government can boost its Internally Generated Revenue (IGR) by implementing an effective Land Title Regularization and Insurance system. 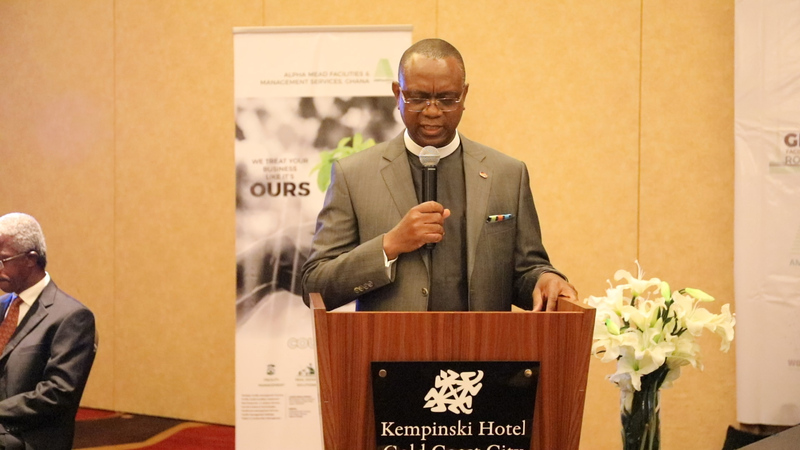 “Setting up an efficient one-stop-shop to regularize Land titles within 30 days and adopting title insurance to provide the necessary comfort within this period will increase the volume of transactions and in turn, increase the IGR of State governments,” he said; explaining that this will also deepen the insurance industry and its contribution to Nigeria’s Gross Domestic Product (GDP) and job creation. A close look at the 2017 budget shows the Federal Government will be investing as much as N100 billion on building Office towers for MDA’s, this trend Akindolire says is clearly not a sustainable approach to development, adding that assets such as Office development for MDAs should be advertised to the general public for purchase, to stimulate the Real estate sector. “Alternatively, these assets can be listed through a REITs product to attract foreign investments,” the Real Estate expert advised, listing the immediate benefits to include; more resource for the Federal Government to execute social projects and focus on infrastructure, long term preservation of these assets, growth of new service sectors such as Facility Management (which is currently one of the largest employer in the UK and constitute 5 percent of the United Kingdom’s GDP), better efficiency in space use. In a move that clearly defies current market realities in the Real Estate sector – where developers are reluctant to continue with ongoing projects owing to the current state of the economy, Alpha Mead Development Company (AMDC) has reached an advanced stage in delivering its tech-driven Lekki Pearl Estate. The milestones which is a prove of the company’s integrity, accountability and promise to its customers and investors was achieved, using the Cast-in situ modular building system – a technology currently delivering affordable housing at an impressive speed in over 45 countries. The pre-engineered modular system, which the Managing Director/CEO of the company, Engr. 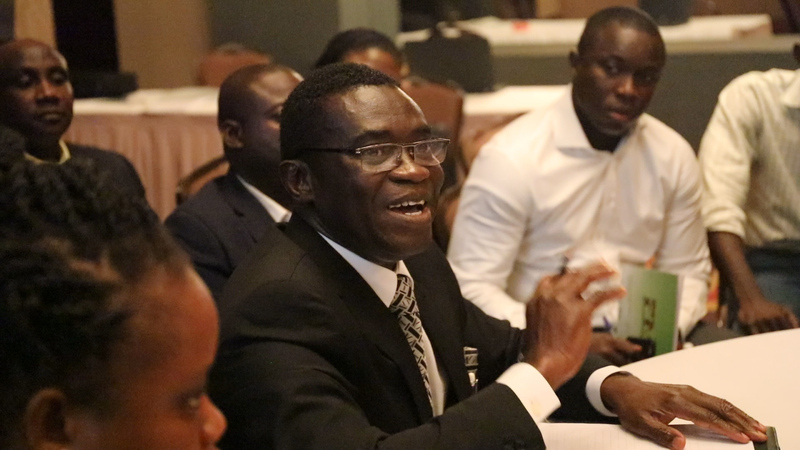 Femi Akintunde said will revolutionize housing delivery in Nigeria; is an all-walls-bear-load construction systems otherwise known as Cast-in situ, which has the ability to deliver a Shell housing unit within an impressive 10 to 30 days. 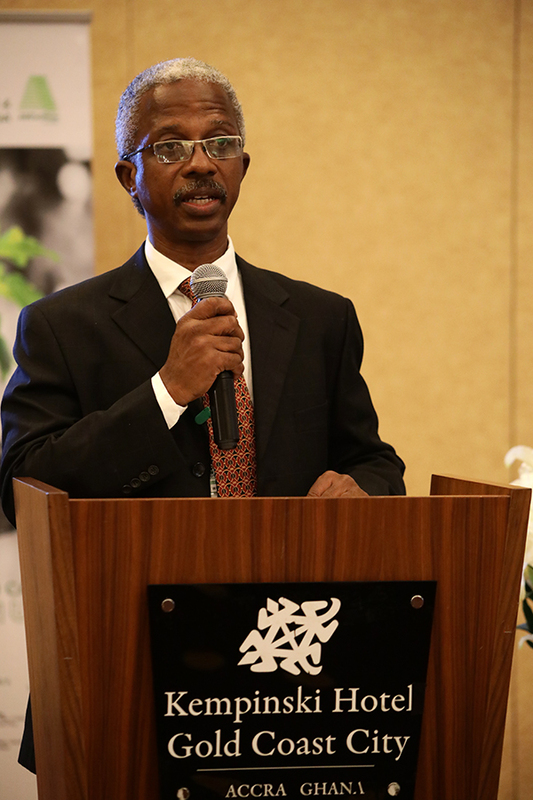 Speaking at the First edition of the Open House Forum for 2017 held on the site of the project over the weekend, Akintunde told customers and stakeholders of the project: “when we started construction, we were delivering housing at an average of 21 days, but today, we are now delivering at an impressive nine days. This accounts for the rapid development you are seeing on site”. “When we had the fourth quarter edition of this forum in 2016, most of the housing units that are standing here today were at the foundation level. Today, I can report to you; we have completed 18 units of block of flat, 20 units terrace apartment, and 12 units of the semi-detached apartment are at the roofing level”. 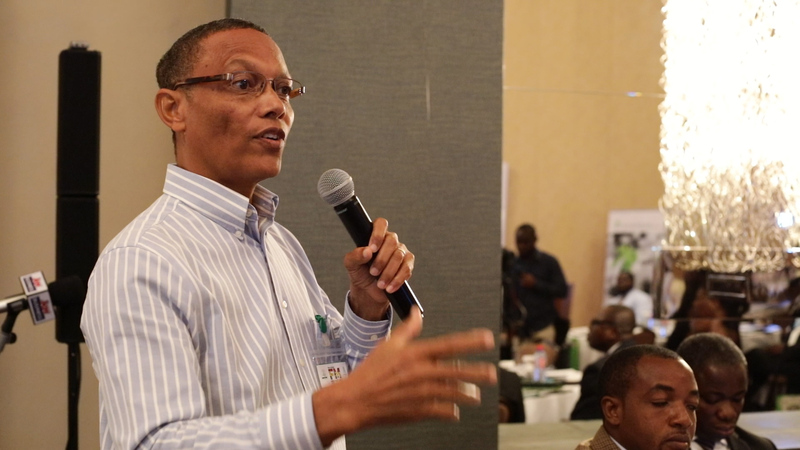 On his part, Damola Akindolire, Executive Director, Real Estate Development, Alpha Mead Facilities (AMFacilities) revealed that despite the current challenges plaguing the Real Estate sector and the economy at large, the company have remained committed to its promise to remain accountable and transparent to the customers. “While we are happy to be able to keep up with our promises to our customers, we must also put things in perspective. 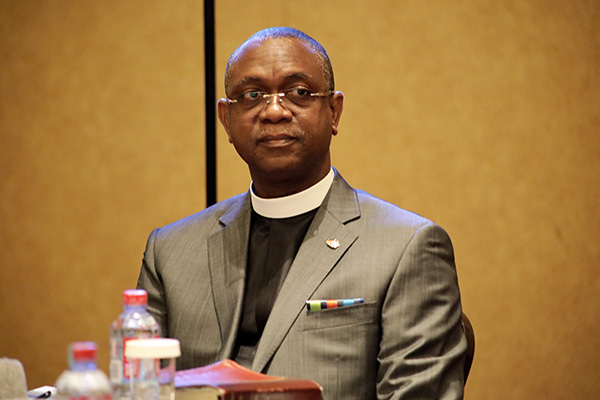 We navigated through a host of challenges in bringing this project to its present state. 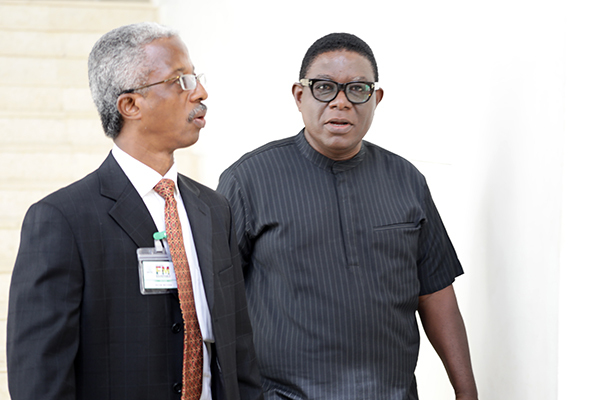 Key among these challenges is the fluctuation in the value of Naira against the Dollar. 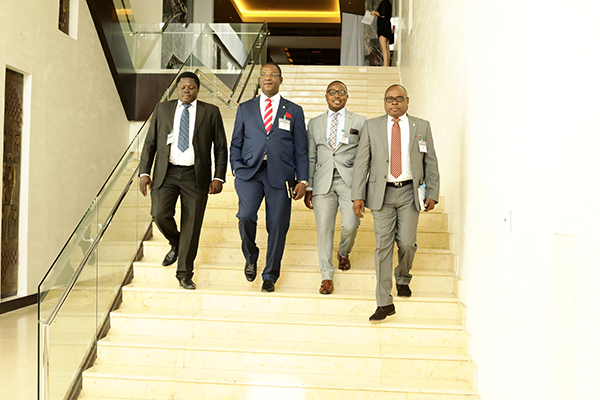 In spite of the challenges, our team has work tirelessly to develop a strategic approach that will help manage the increasing cost of project delivery,” Akindolire noted. “This for us is one of the ways we have continued to keep faith with our customers; without making further demands or escalating the prices of our housing units. Rather, we have concerned ourselves with our commitment of meeting our customers’ expectation by delivering nothing but tastefully finished quality homes,” he added. According to him, the quality of the housing units at the estate speak for themselves. “With a minimum of 50 years defect liability period cover on buildings constructed with our type of technology, we have redefined what it means to deliver quality homes for Nigeria’s rapidly growing middle class. And this has only been possible with the support of our partners, who have continued to play a significant role in the course of this project”. 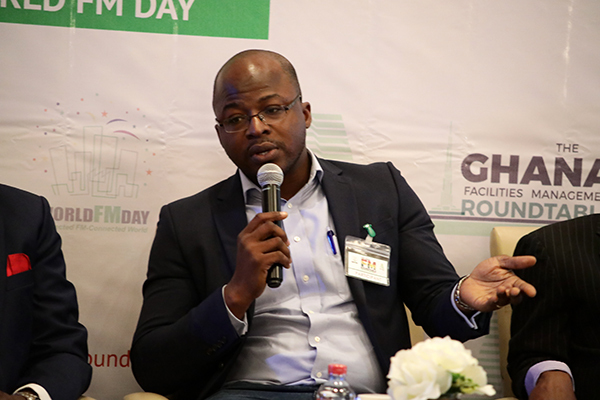 Also speaking at the event, Head of Business Development, AMDC, Damola Oguntoyinbo, said bridging Nigeria’s current housing deficit estimated at 17 million has clearly defied conventional building methods, hence, the need for developers to think outside the box and embrace alternative building systems which deliver housing units at a faster pace and a moderate cost. “This is the challenge AMDC has taken upon itself: to stimulate the Real Estate landscape by investing in the requisite manpower, materials and employing prefabricated building systems to deliver a functional lifestyle community. With buildings like ours, the homebuyers are assured of premium value and unparalleled comfort, because we have given so much consideration to the aesthetics, facilities and infrastructure that are present in Lekki Pearl”, Oguntoyinbo noted. Lekki Peal is a functional and qualitative 112 unit residential development developed by AMDC; a Strategic Business Unit of leading Facilities Management Company, Alpha Mead Facilities (AMFacilities). AMDC is a Real Estate Development, Asset Management and Advisory firm established to be a major stakeholder in bridging Nigeria’s huge housing gap with quality and affordable homes, by partnering with global brands to deploy capacity and technology that can now deliver homes at an average of 10 days (post foundation), reduce cost of construction to between 10 and 20 percent and cut material wastage to near-zero level. With two months into 2017 and economic indices yet to take the desired turn, the reality of another year in recession is gradually dawning on everyone – including the most optimistic economic pundits. While the one percent growth rate in the Gross Domestic Product (GDP) projected by the World Bank indicates some light to end of the tunnel – notwithstanding how deem – the big question most people ask is: how much impact this will amount to in lives of estimated 180 million Nigerians? A close look at the country’s 2017 budget puts the nation’s total oil and non-oil revenue at N4.9trn. This, in the face of increasing recurrent expenditure of which the National Assembly accounts for N2.9trn, while our creditors take up another N1.6trn; is bound to leave the nation with tough choice of borrowing as much as N2.36trn from local and international sources to fund capital projects. Interestingly, Nigeria is a place where, regardless of the shortfall in revenue, the recurrent expenditure always get 100% funding allocation at the expense of capital projects. In fact, over the past five years, the nation has spent more 5 times more on recurrent expenses than capital projects. This presupposes that capital expenditure always have to scramble for crumbs or survive on inflows from creditors, who may consider our plight through high-yield government instruments that overcrowd the private sectors ability to borrow, grow the economy and create jobs. 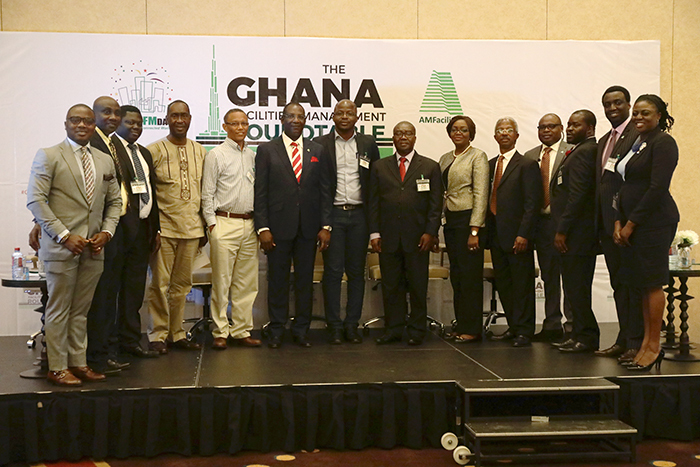 In the face of these challenges, Real Estate and Construction remains one of the most viable sectors that the government can concentrate on to stimulate the economy. 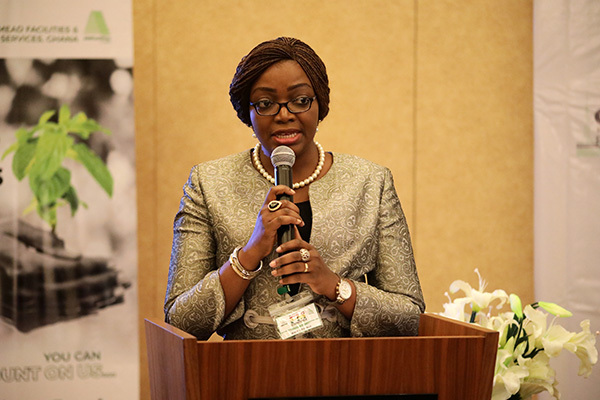 It is not by chance that the sector is the second largest employer of labour behind the Agricultural sector in Nigeria; it is a demonstration of the opportunities it has brought to other economies. If judiciously explored, these opportunities have the capacity to create jobs, increase spending and then return confidence to the Nigerian economy. While this is not a blanket position on the possible ways out of the current economic challenges, as a player in the Real Estate space, this article is about immediate actions that I believe can help Nigeria explore Real Estate as one of its economic drivers in 2017. A rather inconsistent foreign exchange policy in the last 24 months significantly contributed to the country sliding into an era of Stagflation. If not fixed, our anticipated growth will only be momentary. The Nigerian FX market can be likened to a borrower who needs to borrow money without having the cash flow (which is FX inflows) to repay its obligation or collateral security (FX reserves) to even secure it. In my view, the 41 items that were banned can be seen as one of the major issues creating this issues and the divide between the inter-bank market and the parallel market rates. Most of the items on the banned list are responsible for $4bn to $5bn worth of imports annually. Secondly, our country is structured as an import dependent economy and cannot have a ‘floating rate’ or ‘flexible rate’. Countries like Egypt who have implemented this policy are dealing with high inflation in excess of 24 percent. In view of these situations, it is obvious the government needs to shore up its position through assets disposal and a slight devaluation to N350-380 range to encourage investments and reduce impact on our lean reserves. 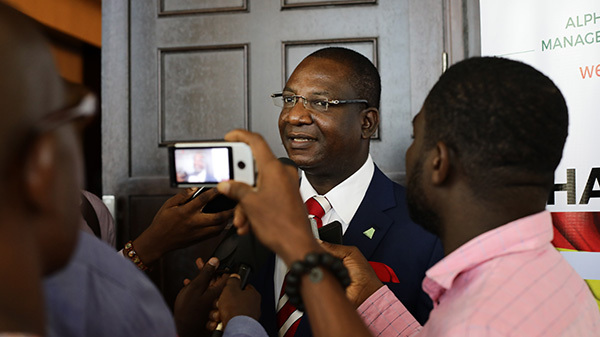 To do this successfully, government will have to eliminate capital controls cancel the so called “floating rate” and peg the exchange rate, shore up its foreign reserves to boost confidence, devalue the naira to a mid-range average of N330-N350 and lift the ban on the 41 items excluded from the inter-bank market and provide more transparency in FX dealings. There’s an urgent need for the immediate release of the required guidelines for pension fund investment in Real Estate assets, which will dovetail to the mortgage sector. Equity finance has been one of the major constraints of home buyers and this a strategic policy guideline would immediately unlock access to N5trn, which is sufficient to provide equity down payment for 300,000 to 500,000 houses. By extension, this is capable of generating between 15 – 20 million jobs and positively affect job creation along the construction value chain. It will also create a mortgage industry estimated at $35bn. This simple action would attract capital investment, drive growth for mortgage-backed securities and deepen the capital markets. I believe if 7.3 million Nigerians contribute to the pension scheme program, they should also have a say on how it’s spent; it should at least be spent to their direct benefit instead of letting some of them retire in rented apartments with nothing to show for their years of meritorious service. Alternatively, these assets can be listed through a REITs product to attract foreign investments. The immediate benefits include: more money for the Federal Government to execute social projects and focus on infrastructure, long term preservation of these assets, growth of new service sectors such as Facility Management (which is currently one of the largest employer in the UK and constitute 5 percent of the United Kingdom’s GDP), better efficiency in space use and so on. I am not ignorant of the legal constraints to get this done, nevertheless, I am convinced that; where there is a will, there is a way. The Nigeria Sovereign Wealth Fund is currently about $1bn (N500 billion) in various investments. This is more than the total budget of the Ministry of Power, Works and Housing and also enough to act as counterpart funding for crucial and critical infrastructure development. In addition, I will advise viable projects within the country should be concessioned to facilitate interstate trade especially in the area of transportation to support laudable initiatives such as LAKE Rice project and the proposed LAKAJI project. There are many more like that, and this intervention would improve our general infrastructure and ease of doing business within the country. This needs to be given urgent attention because buying bonds and other financial instrument are good for the long term but may not be able to provide the short term wins we desperately need to get our economy out of the woods. While most people believe that the land use act is a major problem, and a repeal will set the real estate industry free, I think the major issue here is efficiency. In a country where trust is a major issue, an abolition of the land use act may not be a magic wand as it’s be taunted. 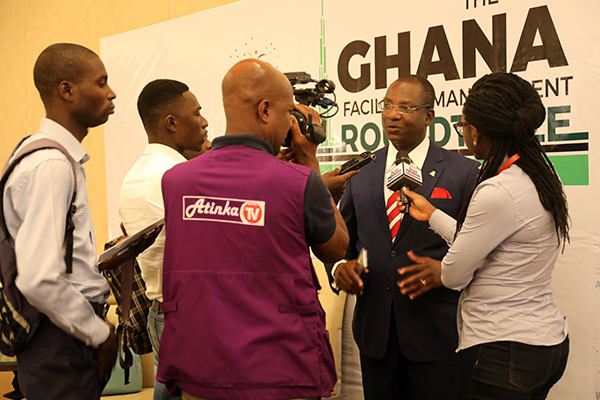 What is key in this process is for state government to set up an efficient one-stop-shop for title registration and planning approval – which may even become a viable Internally Generated Revenue (IGR) channel for them. Taxes are major revenue drivers for State Government for example Lagos State has demonstrated this improving its IGR on land transactions from N11bn in 2011 to 27bn in 2013 and currently in excess of N50bn through efficiency, more can be done in this regard if if the state government can aim to regularize title within 30 days and adopting title insurance to provide the necessary comfort within this period, this will increase the volume of transactions and deepen the insurance industry and its contribution to Nigeria’s GDP and job creation. 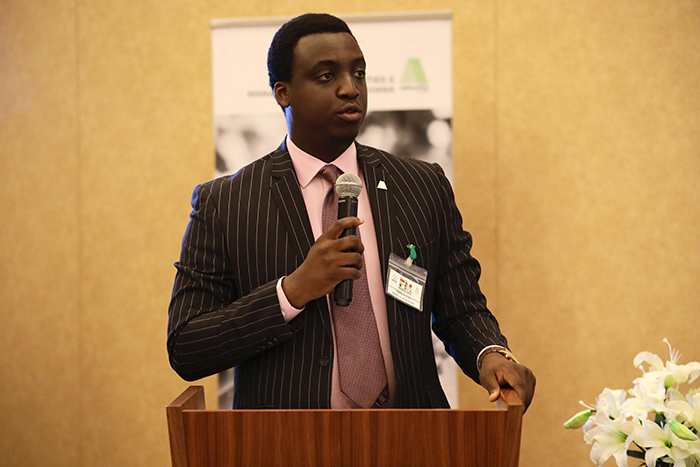 Damola Akindolire is the Executive Director, Real Estate, Alpha Mead Facilities. Relocating to a new environment home or office naturally comes with some sense of excitement, especially if you are moving to a bigger, more serene, and comfortable apartment or office space. More often than not, this excitement often beclouds how much thought is given to ensure a seamless relocation process, leaving most people to struggle with the entire process of coordinating the relocation move with little or no hassles. So whether you are moving to a new home, a small office or you’re engaging a moving company, here are four easy ways to help you move with no issues. Plan your Relocation: This will make your relocation less stressful. Determine how, when and who would be involved in your relocation activities. If you are moving an office, determine which department moves first and which move after; or how you’re going to move in one day without so much impact on your operations. Also, planning will also help you phase all activities, define them clearly and assign roles accordingly. Develop an Asset Register: This is important so you don’t lose anything in the course of the moving – and if you do, having an asset register can quickly help you identify what is missing and set out to find it before it’s too late. Also, an asset register can help you identify old equipment or materials that you don’t want to take to the new place. It is advisable that you do this before the day of moving so it is done properly – and if you’re working with a moving company, your assets can be coded or tagged accordingly. Prepare to Coordinate and communicate effectively: As is the case with many things in life, communication is key to a successful relocation. It is a pretty difficult task to coordinate people during moves, so you should keep communication on going with everyone involved and don’t be afraid to send out multiple reminders as the moving day draws closer. If you’re moving an office, ensure you especially stay in touch with your IT department, as it might take more coordination to migrate servers and transport electronic equipment. Plan for Contingencies: Even the most precise planning may not prevent things from going wrong. So you need to remain agile and ready to adjust plans throughout the move. Keep a complete list and contact details of everyone involved in the move. That way, you can quickly touch base with them if the need to adjust arise. Depending on what and where you are moving to, you may also want to consider professional security to watch over sensitive or expensive items. If you do hire security, make sure that they have all the information they need to monitor and protect your equipment during the move. For questions and comments on this article, tweet @AlphaMead, email info@amfacilities.com or visit www.amfacilities.com. In what can be best described as a deliberate effort to increase knowledge around Home Ownership, Alpha Mead Development Company (ADMC), a Strategic Business Unit of Alpha Mead Facilities will commence a new radio programme – Alpha Mead Home Ownership Show on 13th October, 2016. 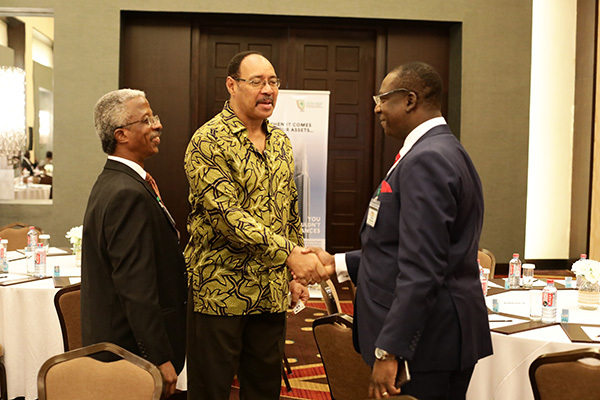 The new 15 minutes weekly Real Estate advisory radio programme, which will air every Thursday by 4:45pm on Smooth 98.1FM, is a corporate responsibility initiative of AMDC to bridge the widening knowledge gap evident in the country’s housing market. Alpha Mead Home Ownership Show is designed to educate and empower individuals, groups and organizations with credible, insightful and contemporary Home Ownership information and tips through experts’ views and opinions. 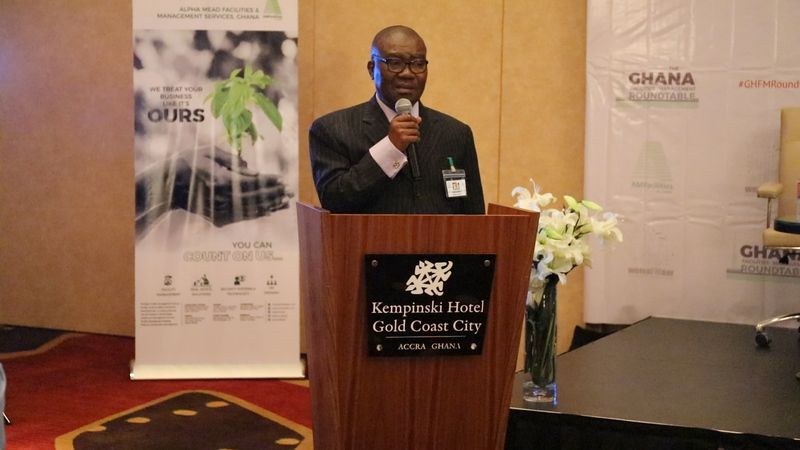 Speaking on the launch of the programme, Mr. Damola Akindolire, Executive Director, Real Estate Development, Alpha Mead Facilities, said the programme is an initiative of the organization aimed at improving the investment appetite of home buyers through insightful information and advisory services. 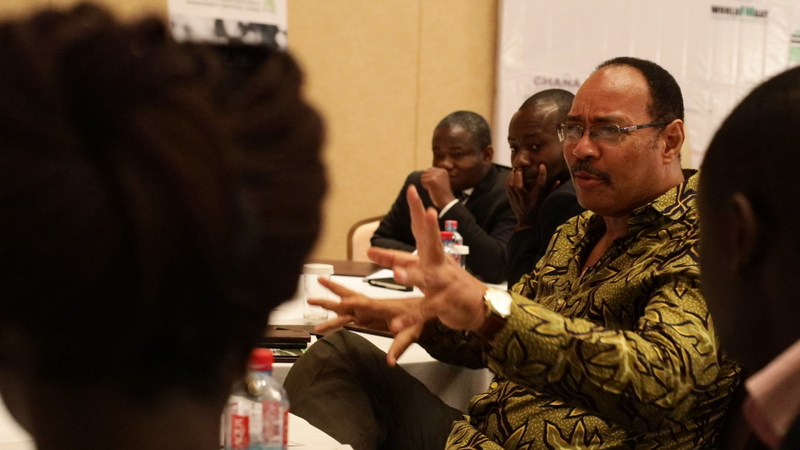 “Our understanding in the Real estate market has shown that the knowledge gap in the industry is one of the major factors discouraging people from Home Ownership,” he said, adding that, if the market is perceived as one where; developers default on their promises, financing options are unavailable, cost of home ownership spirals at haphazardly, and so on; the customers are bound to be discouraged, and contemplate other forms of investment besides home buying”. “But we know that there are still credible developers in this market, there are still viable financing options that can support home ownership dreams, and we know there is an increasing traction in the direction of technology to take care of the issues of quality housing construction, high cost of ownership, and speed of delivery”. 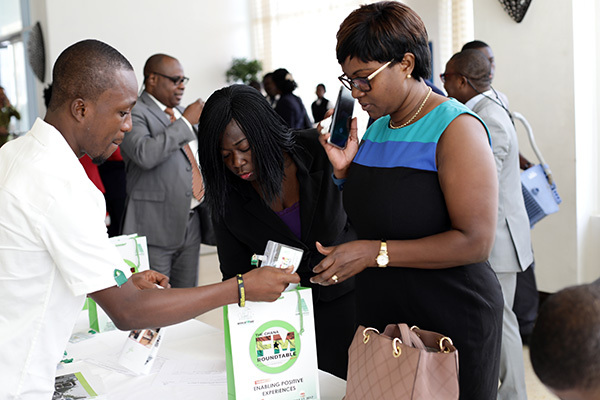 “These pieces of information will form the crux of the radio show; and we have carefully selected a team of experts to educate the home buying public on how to leverage on these opportunities by equipping the home buyers with credible information,” he further said. 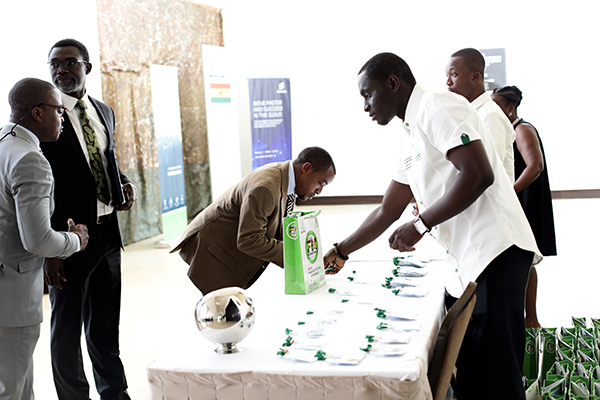 In the face of prevalent property ownership and investment issues such as: mortgages, quality assurance, asset management and investment strategies; the programme will expose savvy investors to new opportunities, guide home buyers as they navigate the property ladder, and help first time buyers make the right home ownership decisions. 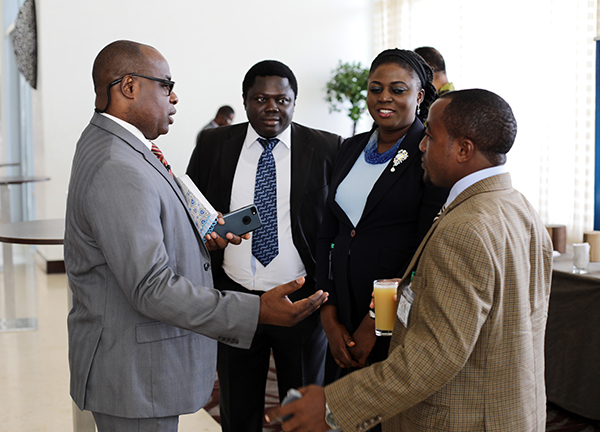 The radio programme will feature some of the brightest minds in Nigeria’s real estate space, including: Engr. 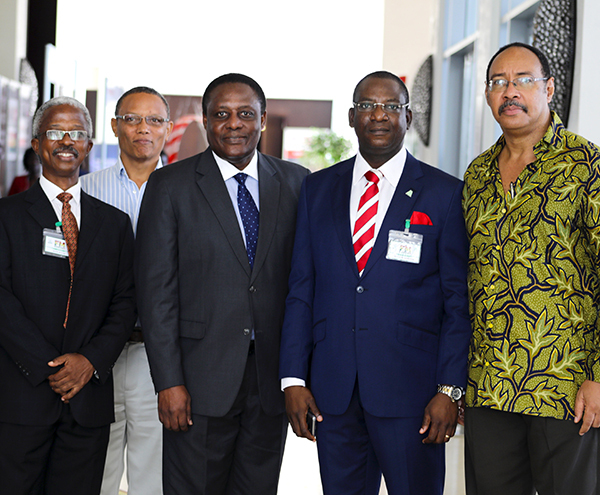 Femi Akintunde, Managing Director, Alpha Mead Facilities, Damola Akindolire, Executive Director, Real Estate, Alpha Mead Facilities, Prof. Charles Inyangete, Chief Executive Officer- Nigeria Mortgage Refinance Company (NMRC), Erejuwa Gbadebo, Chief Executive, Cluttons-Nigeria and Adeniyi Akinlusi, Managing Director, Trust Bond Mortgage Plc, to mention a few. AMDC is a Real Estate Development, Asset Management and Advisory firm established in 2013. Our goal is to be a major stakeholder in bridging Nigeria’s huge housing gap with quality and affordable homes, by partnering with global brands to deploy technology, capacity and expertise to meet Nigeria’s estimated four million middle-income housing needs. Having identified major market realities such as skill gap, low quality buildings and longer delivery time for houses in the country, we have adopted a strategic and innovative approach to delivering homes at a faster, cheaper and better quality to our customers, a technology currently building Lekki Pearl Estate – a 112 unit of functional, quality and affordable homes in the heart of Lekki. A major hindrance to Nigeria’s economic growth is the shortage of human capital in some specialized sectors such as Real estate and Facilities Management, how do you think this can be tackled? 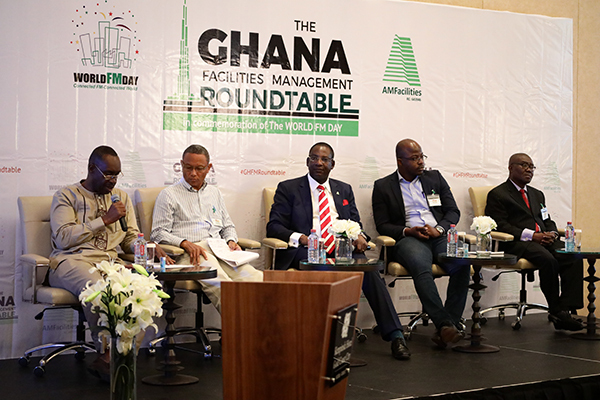 First, we need to appreciate the fact that the human capital challenges confronting the Real Estate and Facilities Management (FM) sectors today are not peculiar to these sectors. They are reflections of the shortage of skill set, which is common place in the larger society, and the literacy level of a preponderant part of the Nigerian nation. This situation has prevailed due to the misplaced priorities of critical stakeholders in our educational system which is reflected in inadequate budget, poor regulatory framework, and compliance monitoring etc. Another contributory factor is the fact that our system is skewed towards book learning rather than developing cognitive skills. For instance, a well-grounded Facility Manager must be both process-driven and solution oriented; because however, the extent to which he can express these skills is determined by the quality of training he has received. If the educational system he passed through only focuses on the ‘What’ rather than the ‘Why’, there is no doubt he will remain narrow minded and at loss when confronted with situations that demands innovative thinking. We also find students learning technical courses without the requisite tools or using obsolete equipment, how do you expect them to effectively manage today’s sophisticated buildings? Setting up technical training centres is largely unprofitable for the private sector, unfortunately, the government who should fund this, is not fully living up to its responsibilities. In a multi disciplinary industry such as FM, professionals require a wide breadth of skills and competencies to manage the people, process and place to the benefit of all stakeholders. So, it’s not enough to be an Engineer who knows how to fix a lift, you must develop commercial prowess, inter-personal skills, emotional intelligence, good presentation and communication skills, sadly, these are not adequately addressed in many FM trainings today. For instance, a Facility Manager who lacks the necessary business expertise cannot satisfactorily make a case to the Board of Directors for a budget review or asset replacement, so the facility suffers, stakeholders lose their return on investment, and the industry remains plagued with dysfunctional assets. Indeed, the state of a country’s Real Estate is a reflection of what its people accept as quality and your perception of quality is directly relational to your level of exposure and education. If we will have long term and sustained improvement in the Real Estate and FM sectors, we must redefine our educational system to focus on creativity, cognitive intelligence and production rather than mere administration. Could these challenges be responsible for Alpha Mead’s decision to float a Training centre? The truth is every decision we take at Alpha Mead is driven by our passion for the FM industry. As a leading FM company in Africa, we appreciate the fact that our position comes with huge responsibilities; so setting up Alpha Mead Training Centre to bridge the current skill and knowledge gap in the industry is for us; one of those responsibilities. Our goal with AMTC is to replicate global standards while maintaining local relevance. 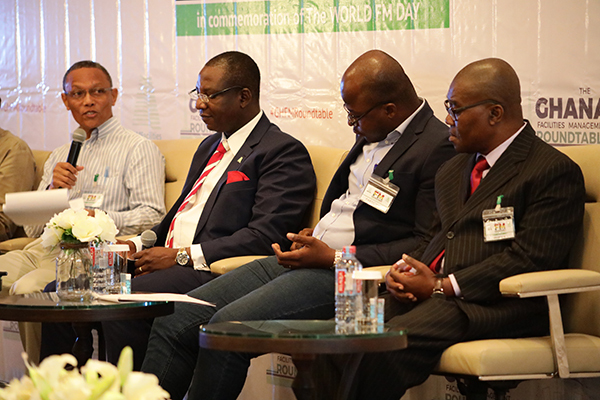 To drive this, we concluded that we have to extend the knowledge of how we have indigenized international FM standards to the Nigerian built environment to the industry. AMTC is designed to produce more trained and skilled professionals that can deliver better output and improved value to the FM customers. What are the objectives of the institute and how does AMTC differ from any other professional FM training centre available in the marketplace? Our value proposition is to develop more FM professionals who are in tune with global standards and can deliver best practices in the local market. That is a training proposition that can hardly be matched in Nigeria’s FM space today. 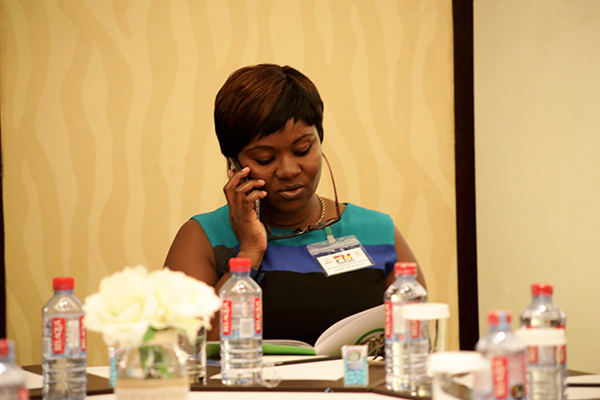 In addition, our facilitators are thorough-bred FM professionals with international exposure. 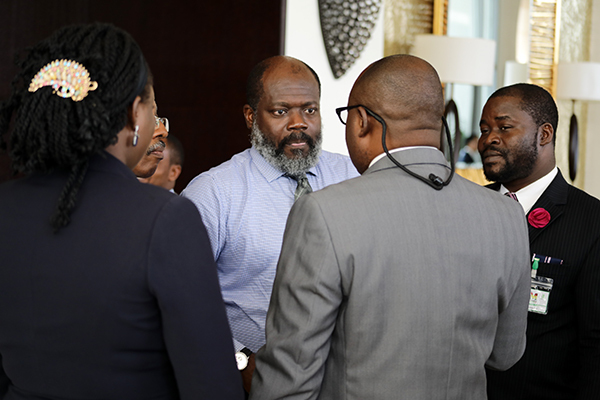 They are seasoned experts who have delivered profit to customers on some of the most complex FM projects you can think of in Africa today, so they are sharing their knowledge from that point of experience. However, we are actually glad we have other training centers out there and we appreciate what they are doing. Our disposition to this is that the more FM training centres we have in the industry, the more competent FM professionals the industry has, the better the service offering the clients gets. Three years down the line, what is your assessment of the training centre and what are the major milestones it has achieved? Our progress has been quite significant. In the past three years of our operations, we have provided over 2,000 man hours of training to FM professionals on different courses; and going by our survey, the customer satisfaction rating has been very high. The testimonials we get from our participants have also been very encouraging. 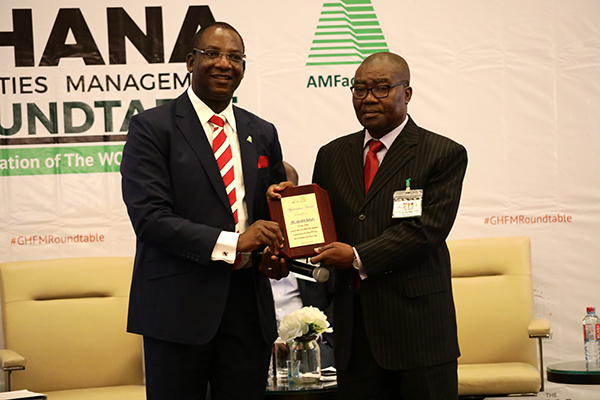 Within this period we also became the Global Training Affiliate of the International Facility Management Association (IFMA) international, and a recognized centre of the British Institute of Facility Management (BIFM) in Nigeria. Since inception, how much would you say AMTC has contributed to the growth of the FM industry at large? As an organization, our leadership position in the FM industry has been sufficiently fueled by AMTC. 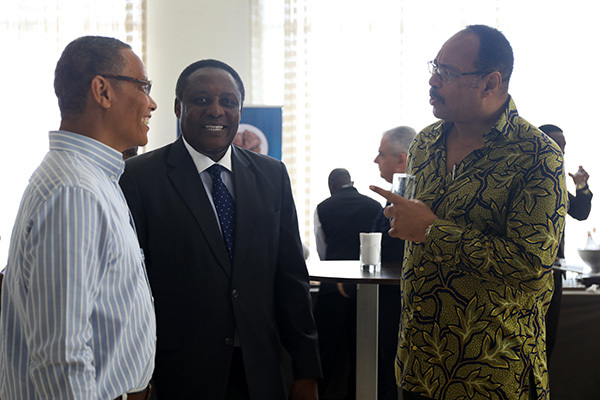 The centre also presents us with a trained and ready workforce to deliver high levels of excellence to our customers. Every member of staff passes through the training institute. Some of our employees are certified IFMA professionals who are either locally or internationally trained. This also enhances our understanding of international standards and when they return, they localize the experience. 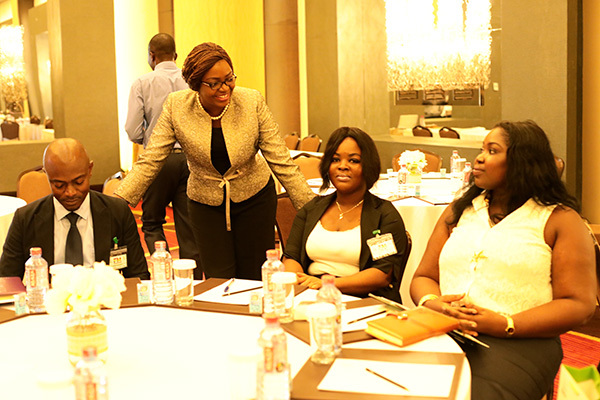 Recently, we noticed the influx of new entrants into the FM industry and we responded to that trend by designing a training that concentrates on; ‘How to run a successful FM business’, and we are encouraged by the feedback from the participants. Some industry analysts have wondered why we are organizing training for potential competitors, but if you relate that to my initial statement about how Alpha Mead does things, you will understand that our interest is largely on the improvement of the industry. What mechanism or strategies does AMTC employ for monitoring the impact of your training on candidates after attending? Before anyone commences training at AMTC, we usually have a pre-training assessment that helps us to understand where you are, what your current level is, what your needs are, and what are your expectations from this training. 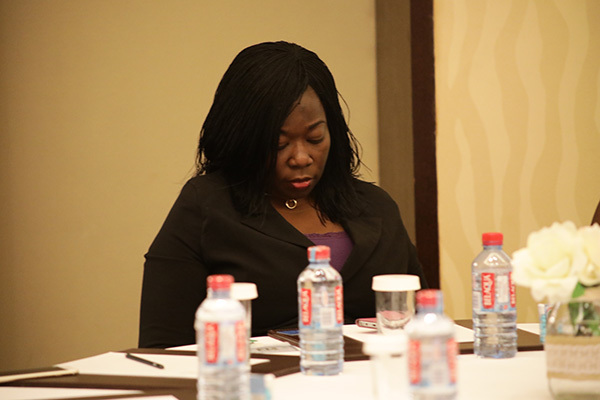 The findings of that assessment are passed on to the Facilitators and that acts as a guide during the training. At the end of each training course, we have the customer satisfaction survey which measures every aspect of the training – the delivery, facilitator, content etc. The feedback is evaluated and we take note of the areas of improvement. The feedback is communicated to the facilitator and by the time he is taking another class, he can easily implement the necessary actions. This has helped us improve the quality of our training over time. One of the best ways to measure how well you are doing in any business is gauging the number of referrals you get and we do get a lot of them courtesy of past participants. 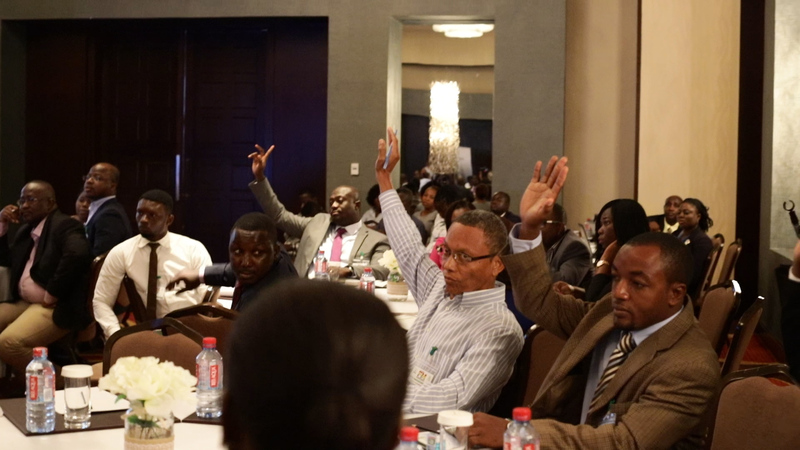 What trends should we look out for in the industry and how is AMTC positioning to develop capacity for these trends? FM is taking an interesting turn in Nigeria. We are seeing a lot more outsourcing in the industry today, especially in the corporate and commercial Real Estate space. Before now, most corporate organisations prefer in-house FM, but currently, particularly in the face of current economic challenges, a good number of organizations seem to be focusing on their core business and outsourcing business support services such as FM. For instance, some of the top five companies in the Oil & Gas sector and Telecoms have outsourced their FM to AMFacilities. We also we are seeing technology play a strong role in FM today. The need to do things faster and more efficiently has occasioned this tilt and FM companies are responding to this demand in an increasing manner. Another welcome trend is the commitment by firms to train their Staff. When we started AMTC, most of the participants funded their training due to their employer’s inability to identify a suitable training centre that meets their specifications or unwillingness to fund such training. But this is changing, as we now seeing organisations footing the training bills of their employees. Also, slowly but surely, we are also beginning to see clients emphasis on value rather than just price when procuring FM service. Previously, the lowest bidder takes it all. But many firms have had their fingers burnt by giving the jobs to the lowest bidder, and are now realizing that beyond reducing the actual fees paid to the FM company, they can reap the benefits of reduced cost in the long run through innovative solutions provided by a truly professional FM companies. These trends will definitely impact the kind of training we offer in terms of content and platforms. We take cognizance of these changes and you would be seeing a lot of improvements, particularly technology-based learning and training solutions from us in the coming days.